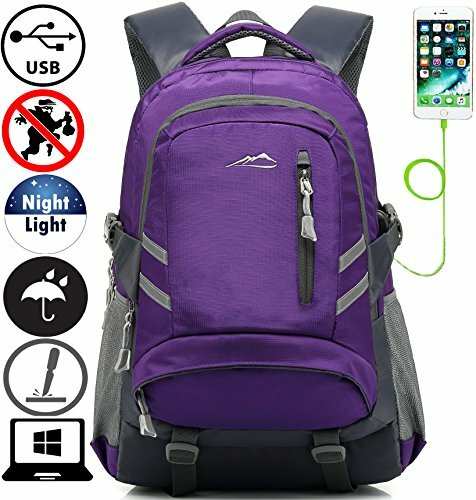 Backpack Bookbag For School College Student Travel Business With USB Charging Port Water Resistant Fit Laptop Up to 15.6 Inch Anti theft Night Light Reflective (Purple) | Replicafer Co. If you have any questions about this product by ProEtrade, contact us by completing and submitting the form below. If you are looking for a specif part number, please include it with your message.